We will re-release AAAA‘s debut album »Shiva Watts« on vinyl and embark on a tour with AAAA and ˆL_. Tour dates and official press release see below. (A bit) more information forthcoming. Room Mexico was voted as one of the year’s best performances by Boiler Room’s editorial staff. In the autumn of 2014, AAAA released his debut album »Shiva Watts« as a small-run CD version on the Mexican imprint Maligna. ANTIME is proud to announce its re-release on vinyl. The release of »Shiva Watts« will coincide with a tour through Germany on which AAAA will join forces with his Brazilian label mate ˆL_ who currently has a new EP in the works. Chances are there to be taken, but not to be missed. After ANTIME label founder Martin Steer had stumbled upon Barranco’s work in mid-2014, he immediately invited the Mexican producer to contribute a track to the third instalment of the Berlin-based label’s ongoing compilation series. The polyrhythmic frenzy of AAAA’s »Bennu« had not yet settled when AAAA announced his debut album »Shiva Watts«. After hearing the album Steer, who coincidentally happened to be in Mexico by that time, exchanged some messages with the other members of ANTIME and shortly thereafter met with Barranco in Ciudad de México. Hands were shaken and an agreement was made: ANTIME would release »Shiva Watts« on vinyl in Europe and send AAAA on a tour through the old world. 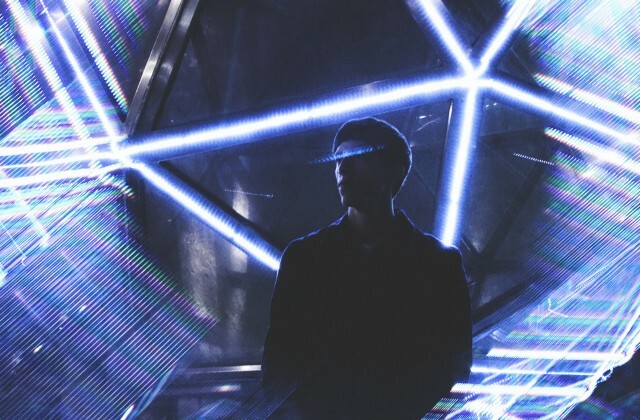 Gabo Barranco got into Jean-Michel Jarre when he was not more than six years old and started making tracks with FruityLoops and Reasons as a young teenager before attending raves and dancing to House and Techno. He co-founded DDA with some friends in high school and while the trio was still debating if their noisy style could be pigeonholed as Shoegaze, Post-Punk or even Post-Rock, they found themselves sharing big stages with bands like No Age and others. After DDA’s amicable split-up, Barranco concentrated on his solo work and following a long period of trial and error experimentation with his vast array of analogue hardware, he recorded the 16 tracks that make up »Shiva Watts«. It is an album which celebrates stylistic and emotional ambiguity and provides the perfect soundtrack for a world yet to come – and everything that will follow after that. For the vinyl release of »Shiva Watts« ANTIME’s in-house graphic designer Johann Steer developed a special new artwork in collaboration with Baranco. While Steer’s design still references the original which used circuit patterns by the renowned director and sculptor Theo Kamecke, it takes Barranco’s visions one step further. Through his music, the former student of classical harmony, composition and trained audio engineer channels abstract visions of the future which are at once dystopian and hopeful. »That’s what Electronic music is all about – the future. Imagining how human life might be like in one or two hundred years from now,« explains Barranco. »It’s all about envisaging the changes, different ideas, the new technology and the possibilities of applying this technology to our lives. I myself imagine dystopian worlds.« However, neither does Barranco consider all hope to be lost nor indulge his intense, acidic hardware jams in hopelessness and despair. 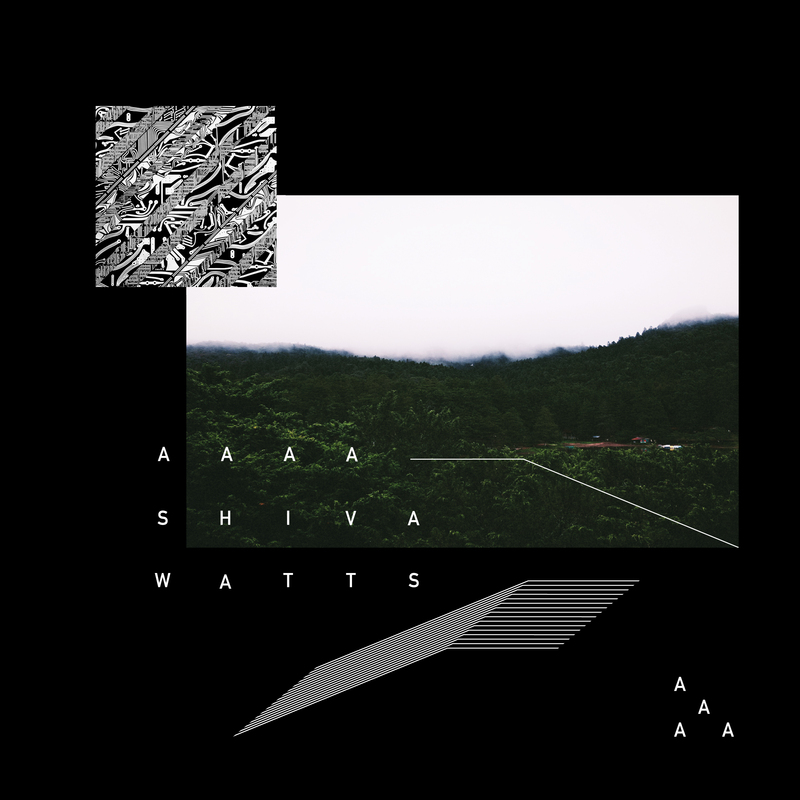 »Shiva Watts« is not so much a conceptualised album as it is the product of years of experimentation with different sounds and devices. After having produced music digitally for years, Barranco wilfully narrowed down his set-up and went fully analogue. »I get lost in the computer!«, he laughs. »If you have one thousand plug-ins, that just happens eventually. However, it is different when you work with an analogue synthesizer. You only have so many options and if you fail once, you have to start over from the beginning.« Hence »Shiva Watts« sounds both vivid and complex, as it captures the raw energy of AAAA’s globally praised live performances and at once is a direct result of tireless, disciplined experimentation. The 16 tracks on »Shiva Watts« take their cues from a variety of musical styles, most notably Acid. However, Barranco does not confine himself to only one approach to the genre’s rich sound palette, quoting Richard Devine, Aphex Twin or even Boards Of Canada as examples of what Acid can sound like – if you dare giving it a twist. »Shiva Watts« combines elements of hard-hitting Techno, textural IDM, dry-but-funky Electro, trance-inducing House with lush Ambient-leaning interludes. It is a striking example of what can happen if a visionary mind dedicates itself to the machines. The sound of a distant future or what will come after that.